People sometimes give socionomics the misnomer “socioeconomics.” Here are the key differences between the two fields. Socioeconomics is the study of the social results of economic changes. Its goal is to monitor and evaluate how changing economic conditions interact with shifting social conditions to influence the economy and the economic status of people. 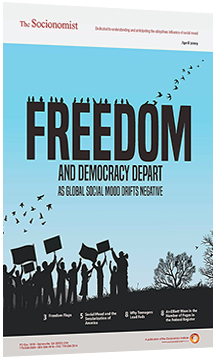 Socionomists and socioeconomists examine changes in the social environment and the economy, but socionomists propose that social mood is the primary cause behind those changes and have a model that anticipates them.